Note on the preparation time: The dough is chilled for 2 hours. Beat in the egg and vanilla extract until it’s all combined and set the wet ingredients aside. Gently mix in the chocolate chips and macadamia nuts. Chill the dough for 2 hours. 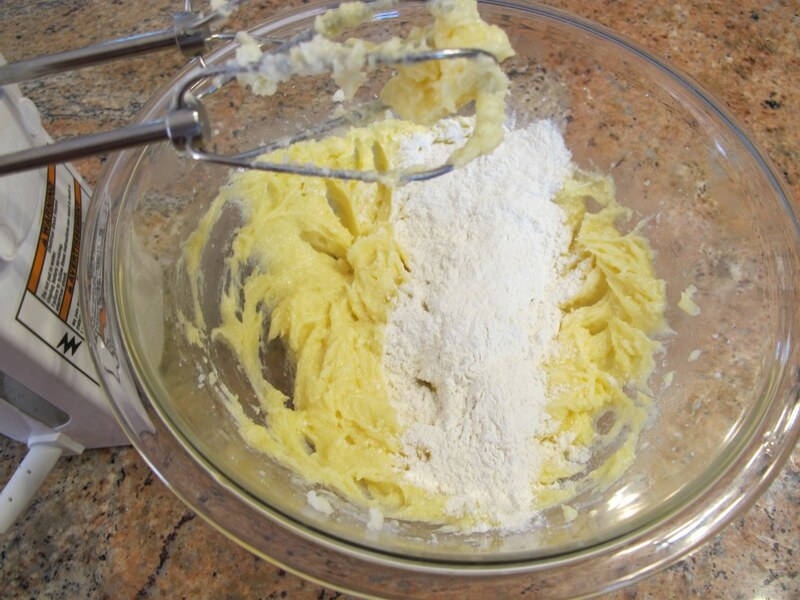 Scoop about 1 and 1/2 tablespoons of dough into balls, and place about 2 inches apart on an ungreased baking sheet. 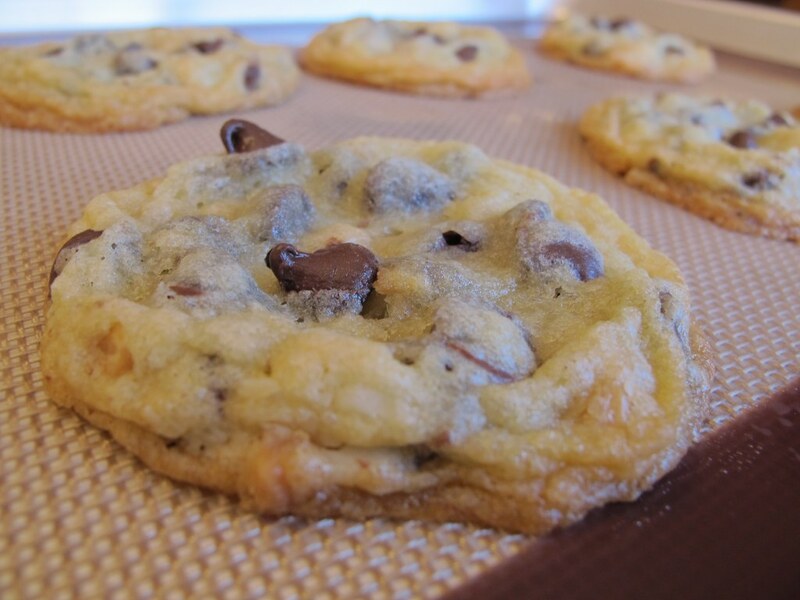 Bake in the preheated oven for 8 to 10 minutes or until the edges of the cookies are slightly brown. The center of the cookies may look under baked but they will set as they cool. 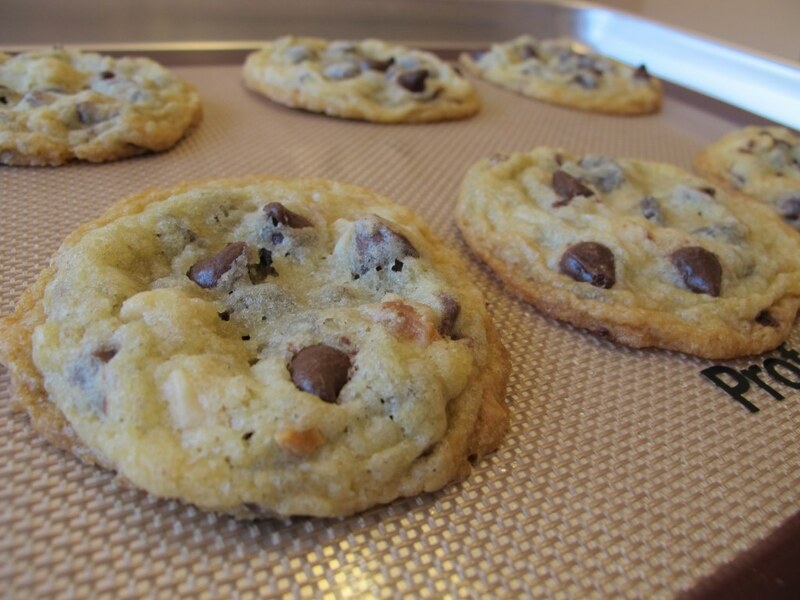 Let the cookies rest on the baking sheet for about 2 minutes and then move them to a wire rack to cool completely. Store the cookies in an air tight container on the counter or in a zip lock bag in the freezer. Gradually mix the dry ingredients into the wet ingredients just until they are combined. I like to chill many kinds of cookie dough, like this one, because it helps prevent the cookies from spreading when they bake. Mmm so much chocolate! 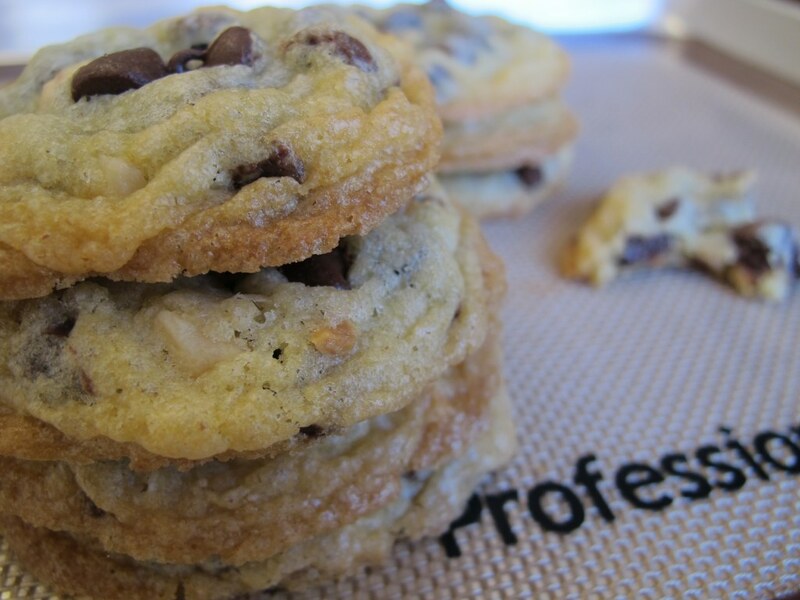 I wanted the chocolate chips to shine in these cookies which is why I used more chocolate chips than macadamia nuts. These cookies are so crunchy and buttery! I have to admit that I prefer a soft and chewy cookie any day of the week. However since the goal was to imitate those notorious Pepperidge Farm cookies, a crunchy cookie was the way to go. Note: Not a paid advertisement for Pepperidge Farm. I’m just sharing my opinion. 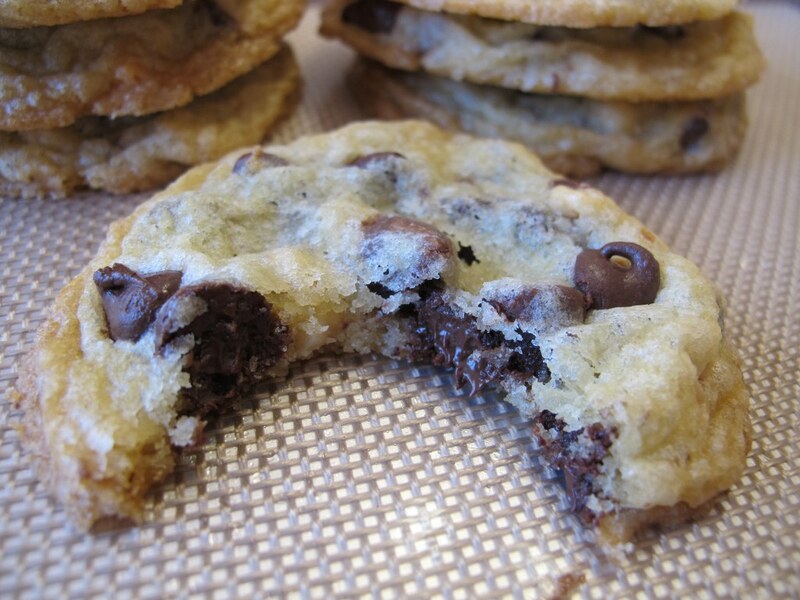 A fan of chocolate chip cookies? 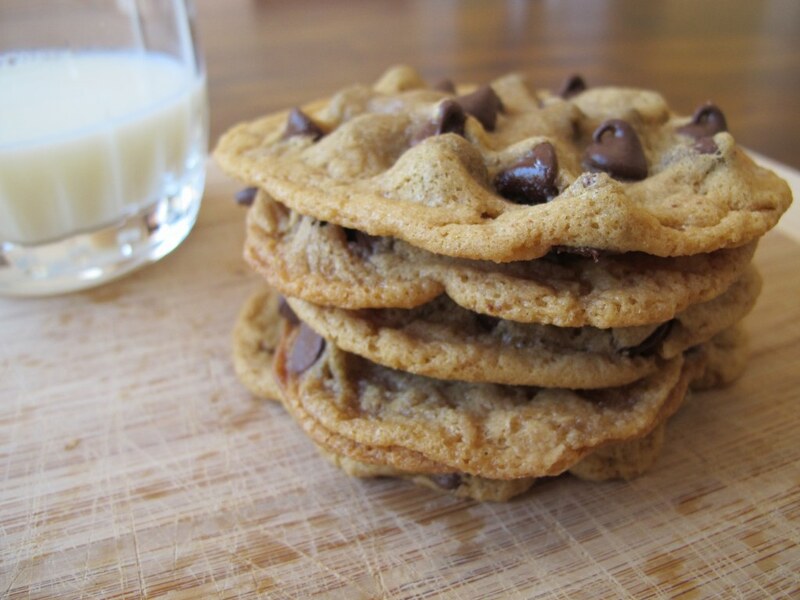 Try these awesome Gluten-Free Peanut Butter Chocolate Chip Cookies. Oh yum, your cookies look amazing! I think I have some macadamia nuts at the back of a cupboard somewhere – this looks like a very good use for them! That is so cool that your dad worked for Pepperidge Farm. When I was growing up, it was rare to have their cookies in our the house so when we did we cherished every bite. Thank you for the sweet compliment. 🙂 Let me know if you make them. Good for you for experimenting with the sugar types to re-create a storebought cookie that you wanted! Oh, I’m all over these. YUM!